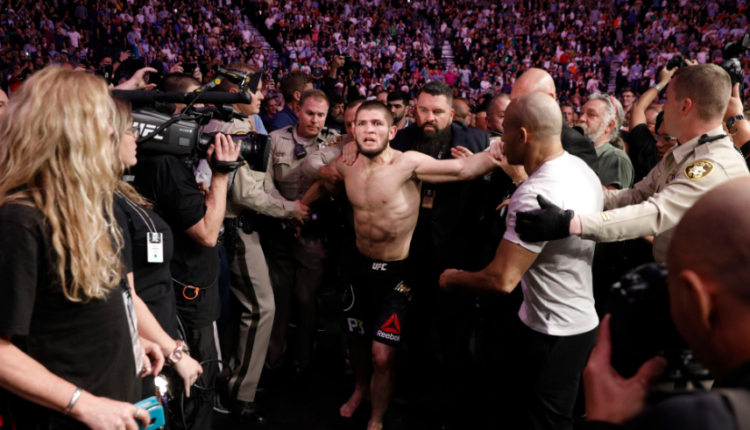 UFC lightweight champion Khabib Nurmagomedov’s troubles may be over, but the Nevada Athletic Commission has handed down a punishment that will see him gone until at-least April. The Commission has given Nurmagomedov a fine of $500,000 for his actions following his win at UFC 229, which saw the UFC lightweight champion jumping out of the cage and inciting a brawl between his team and Conor McGregor’s team. The fine would be taken out of Nurmagomedov’s disclosed $2 million purse, a million of which was docked by the commission in the immediate aftermath of the fight. Also the commission has handed Nurmagomedov a nine-month suspension for the incident from October of last year. The suspension would be backdated to October, which would set him up for a return in July, but if Nurmagomedov is able to produce an anti-bullying PSA between Tuesday and the Commission’s next meeting, the suspension would be cut to six-months, which would make him eligible to compete as soon as April. The Commission will not only approve the PSA and its distribution, but also working with the UFC and Nurmagomedov to produce the announcement.